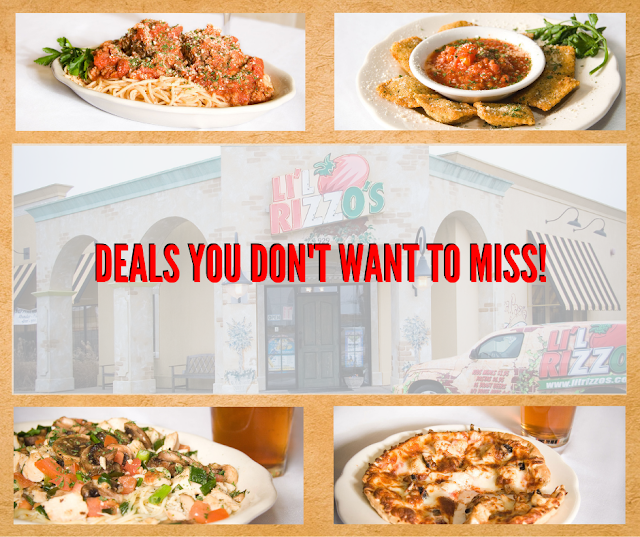 Deals You Don't Want to Miss at Li'l Rizzo's! With gourmet pizza, pasta, world-famous house salad and legendary service, there are many reasons to enjoy a meal at the best Italian restaurant at the Lake of the Ozarks. Besides our amazing food and service, we also have great specials throughout the week from wing specials to the best Happy Hour at the Lake of the Ozarks. 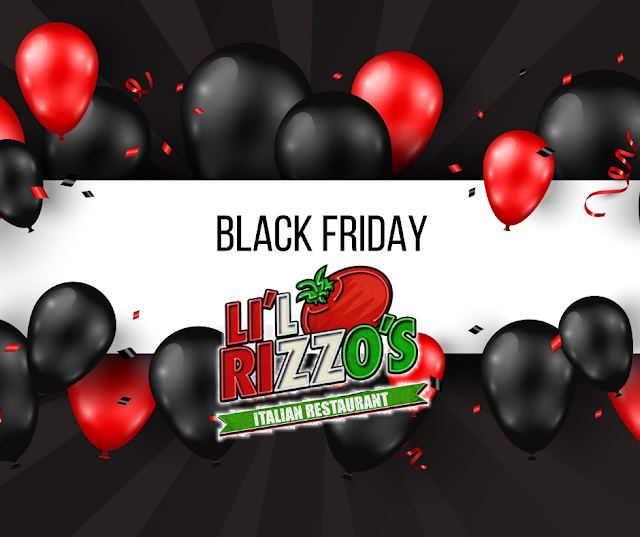 Check out the great deals you don't want to miss at Li'l Rizzo's! Happy Hour Is The Best HourJoin us for the best Happy Hour at the Lake of the Ozarks Monday through Friday from 3:00 - 6:00 p.m. During Happy Hour at Li'l Rizzo's, you can enjoy specials on drinks and all your favorite appetizers at half price! From our delicious spinach, green chili & jalapeno dip to the traditional bruschetta, all of our mouthwatering appetizers are half priced during the Lake of the Ozarks best Happy Hour! As we enter the Holiday Season, we're beginning to think about all the things that needs to be done to prepare for the holidays; the meals you'll need to make, the gifts you need to buy... the list goes on and on. While for some, it's an easy task, but for others, not so much. Let's face it, we all have at least one family member that is extremely hard to buy for. And trying to cook a meal that everyone will enjoy is virtually impossible. Make your holidays easy and give the gift of YUM with Li'l Rizzo's! Here are a few ways you can count on us to have your holiday meals (and gifts) covered! 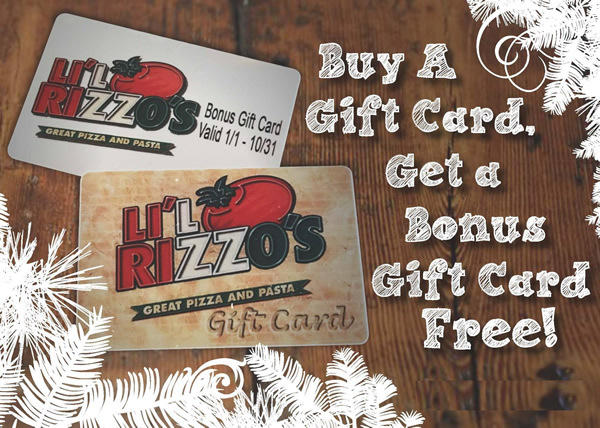 For a limited time, Li'l Rizzo's is offering a great gift card promotion to get you more bang for your buck! We are offering a FREE gift card with every gift card purchased in November and December. The free gift cards are valued at 20% of the original gift card value and are only valid from January 1, 2019 - October 31, 2019. 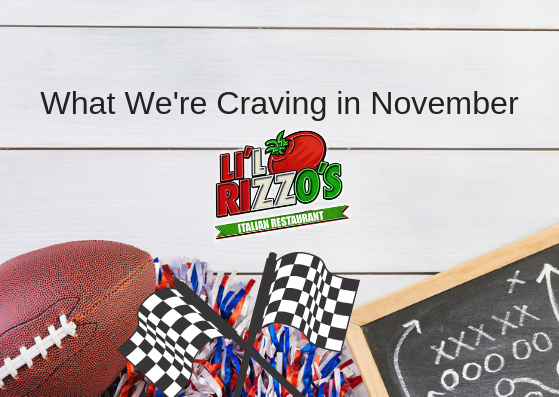 Whether you're planning to watch the NASCAR Playoffs or watch your favorite receiver drive through to the end zone for a touchdown, you're for sure going to need something to keep your family full. After all, there's nothing that ruins a good game day faster than a 'hangry' group of sports fans rooting against each other! So, here's what we're craving in November to keep us from getting 'hangry'! This delectable specialty pizza is packed with all the meats the hungriest fan might crave! Covered in red sauce, topped with pepperoni, sausage, hamburger, bacon & Canadian bacon, and generously sprinkled with provel and mozzarella cheeses, this pizza will be a for sure win at your game day gathering! With Halloween over, Thanksgiving and Christmas will be filling up the next several weeks. Company parties, family gatherings, and plenty of yuletide cheer will be going around. If you’re planning a party for the next few weeks, you have a few options regarding the food. 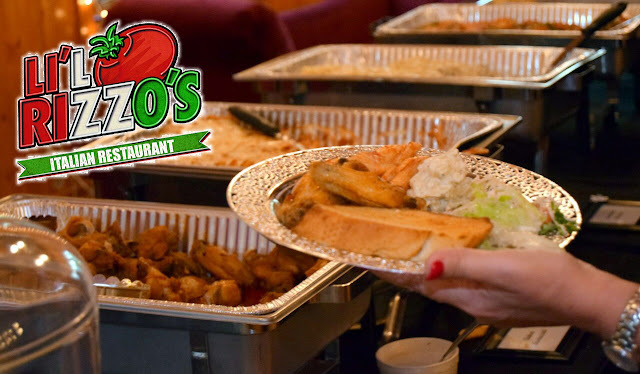 You can slave in the kitchen for hours and hours - or you can work with the best catering at the Lake of the Ozarks! 7 Reasons to Hire a Caterer It practically goes without saying, but if you’ve never hired a caterer for your event, here are a few reasons that you may want to consider it this year! Once you try us, you’ll never go back ;).